Manufacturer of a wide range of products which include woodruff cutter. 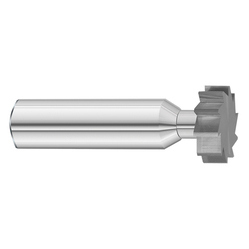 Conforming to the industrial quality standards, we offer Woodruff Cutter, which are used for cutting key seats for woodruff key. These are manufactured using high grade steel with alternate left and right-hand helical flutes, either with flatted or threaded shank. Our range of cutters is highly durable and is offered at leading market rates.